Josh Edelson / Getty ImagesRob Rhinehart, Soylent’s founder, resigned as the startup’s CEO on Monday. Rob Rhinehart, the founder of Soylent, a startup that makes a soy-based food replacement drink, is out as the company’s CEO. 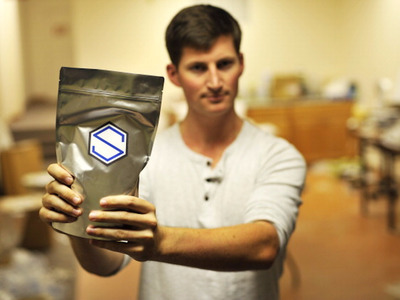 Bryan Crowley, president of Soylent’s parent company, is replacing him. Soylent saw major setbacks over the past two years, including a temporary halt to sales after customers reported becoming violently ill. Rob Rhinehart, founder of the much-maligned food-replacement startup Soylent, is stepping down as CEO effectively immediately, he announced in a blog post on Monday. Bryan Crowley, who was appointed president of Soylent parent company Rosa Foods in June, will take over as CEO. In a blog post, Rhinehart said he decided to hand the reins to Crowley because of Crowley’s management and industry experience. “I have seen the company evolve with scale, and done my best to guide it toward my vision and support those involved,” Rhinehart said. Rhinehart will stay on as Soylent’s executive chairman, and he remains the company’s largest shareholder. Soylent has had a bumpy ride over the last year. In 2016, in a bid to go mainstream, the venture-backed startup launched several new products, including “Coffiest,” a caffeinated meal-shake, and the “Soylent Bar,” its first solid-food product. Soylent Drink became the best-selling product in the meal-replacement category on Amazon, and even started being carried in 7-Eleven stores. But Soylent suffered a public black eye after some of its products made a small number of customers violently ill. The company briefly halted sales of the Soylent Bar and its flagship powdered food-replacement. Soylent saw a better start to 2017. It raised $US50 million in a Series B round of funding led by GV (formerly Google Ventures). The Los Angeles-based company has raised $US74.5 million to date.